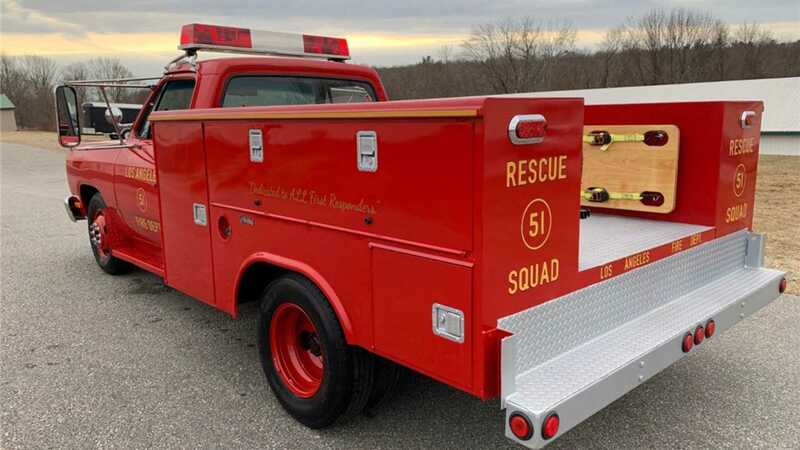 No matter what age you are now, your inner 6 year-old still thinks fire trucks are cool. Bright red, flashing lights, whaling siren, they’re just plain heroic. 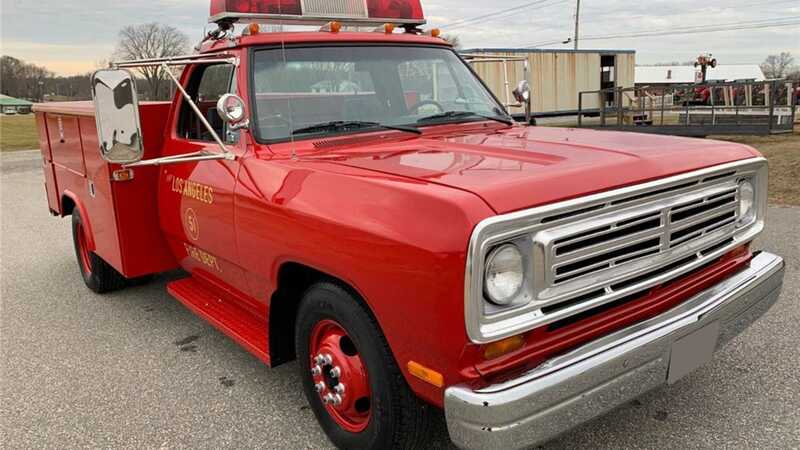 The 1972 -1979 TV show Emergency captured this with many vehicles, but a distinctive Dodge D350 Squad 51 firetruck was one of the series’ four-wheeled stars. 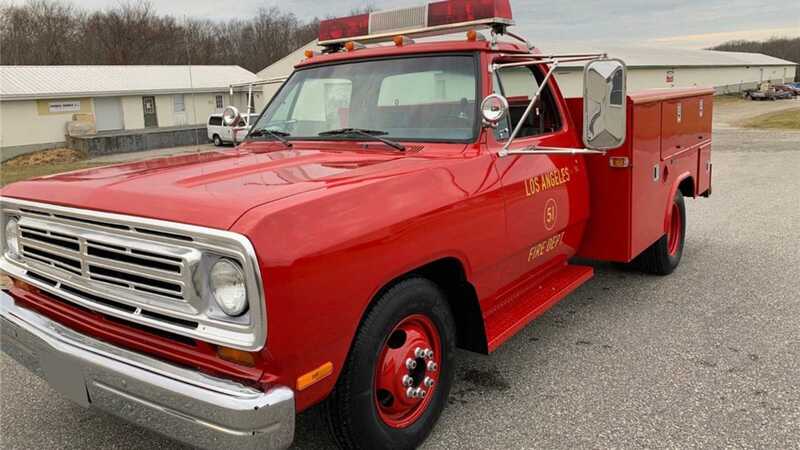 Barrett-Jackson are soon to auction an incredibly accurate replica of this truck. 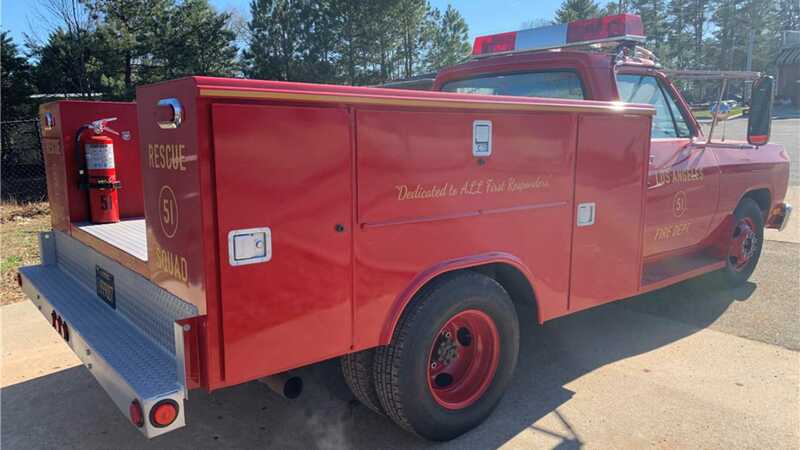 Some replica vehicles merely possess a passing similarity to they car it attempt to mimic, but the attention to detail on this D350 Squad 51 truck is very impressive. 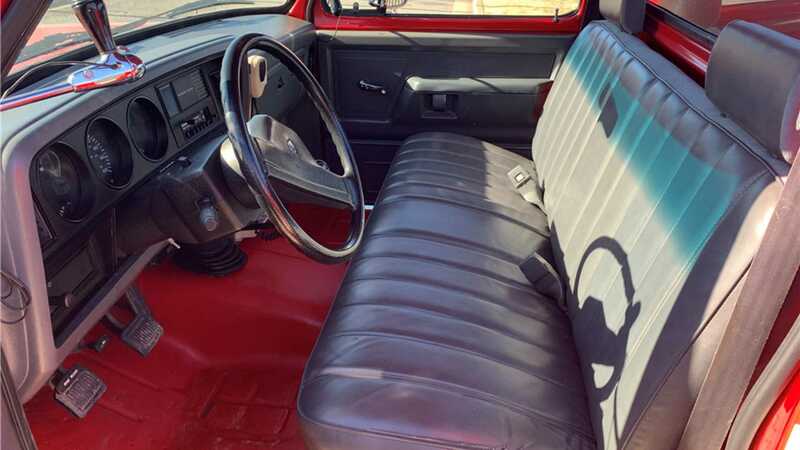 It started life as a newer 1991 pickup, something that affords it modern luxuries such as air conditioning, before being stripped back to bare metal. 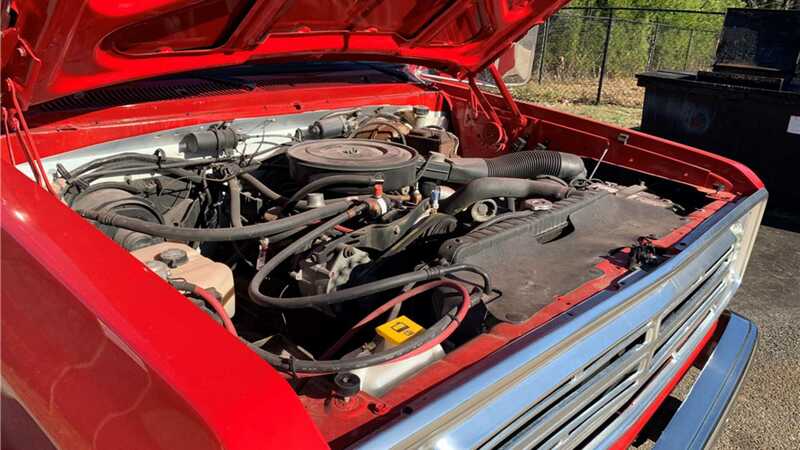 While the Dodge was resprayed the appropriate red, the correct 1972 grille and headlights were sourced and installed alongside a ‘birdbath’ hood. According to the description, no expense was spared when building this recreation. The interior is also true to life with an identical grey trim sourced for this project. Before fitting the TV-correct cabin, the interior paint was even glass-beaded, stripping the original color ready for repainting to the highest standard. 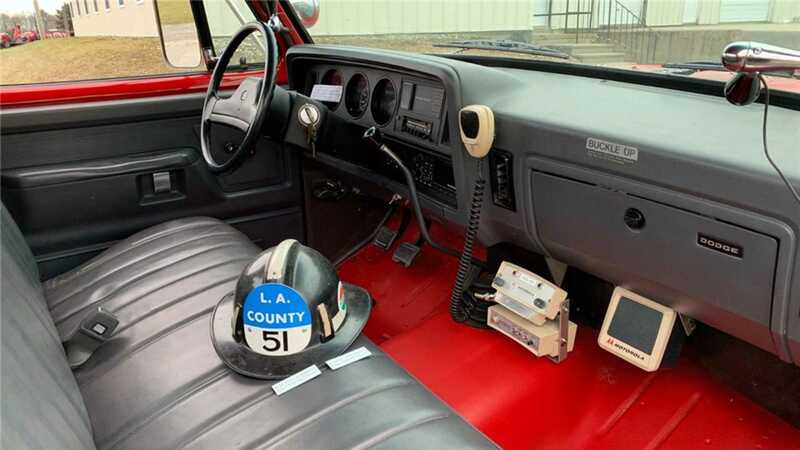 Further authenticity comes in the form of the correct light bar, radio, spotlights, and fire equipment. 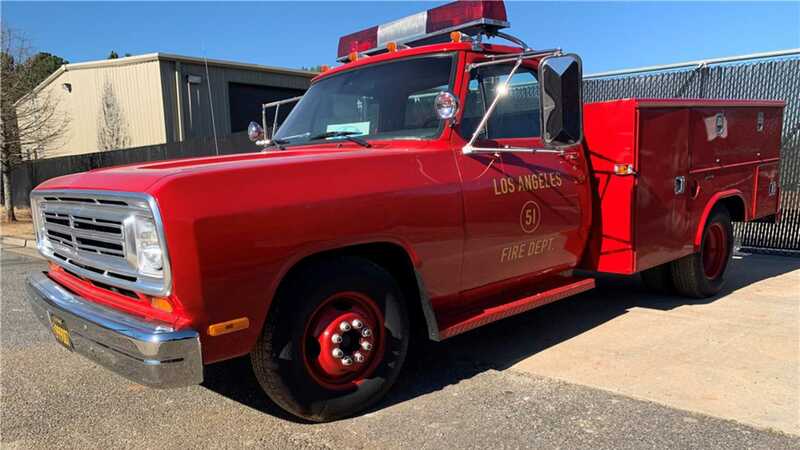 This Dodge’s creator managed to source the original specifications from the LA County Fire Department to ensure that nothing was out of place. 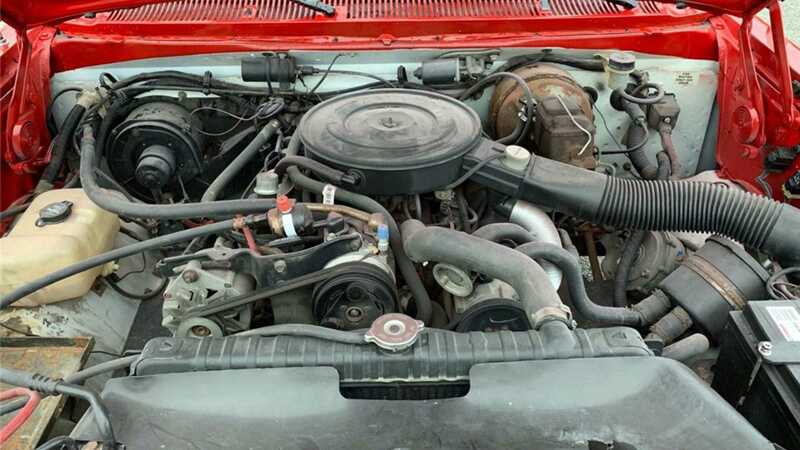 Lot #91 hosts a 360 Ci fuel-injected V8 engine, a more powerful and dependable unit than what would be found in a 1972 example. 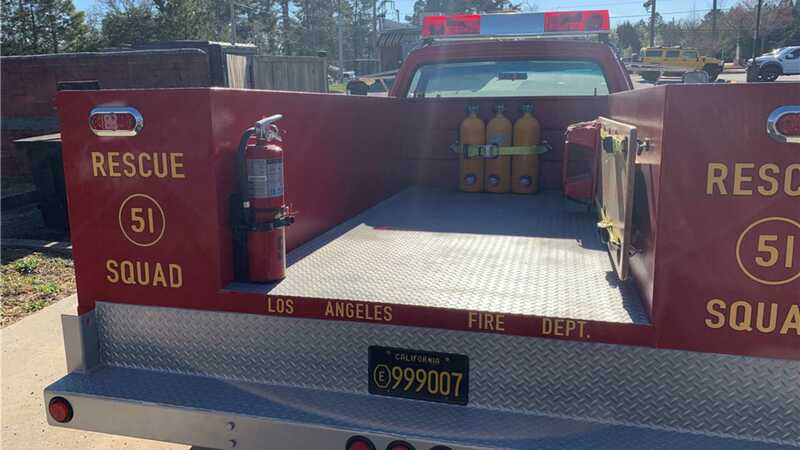 Said engine is coupled with a four speed manual transmission to give this fire truck a respectable response time. 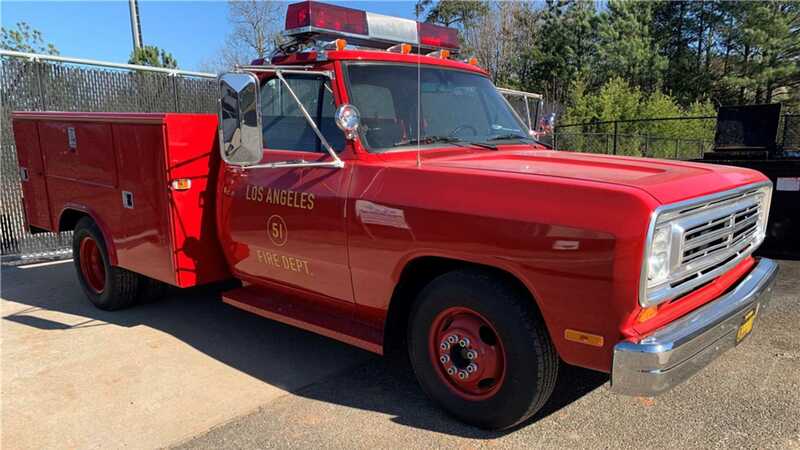 The TV series Emergency might have ended in 1979, but bidding on this truck at Barrett-Jackson’s Palm Beach event on April 11-13th gives you the chance to relive it every day. This recreation is also being offered without reserve, meaning that a fan of the show might be primed for a bargain.